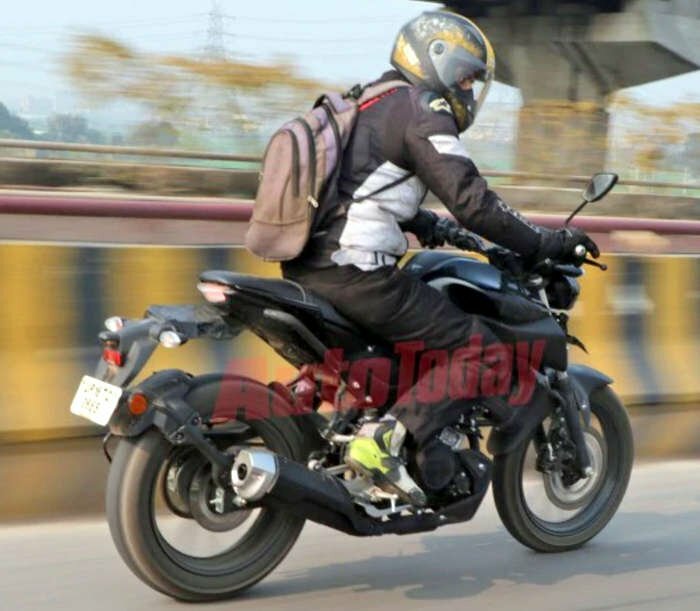 The Yamaha MT-15 has been caught testing ahead of its launch on 15 March. The India-spec 2019 Yamaha MT-15 (pictured) will come equipped with telescopic forks, a box-type swingarm and different set of 17-inch alloy wheels. Yamaha dealerships in the country have commenced private bookings for the motorcycle. Customers can book the bike at an amount of INR 5,000. The Yamaha MT-15 is a naked streetfighter version of the Yamaha YZF-R15 V3.0. The bike is likely to be priced around INR 1.20 lakh (ex-showroom). 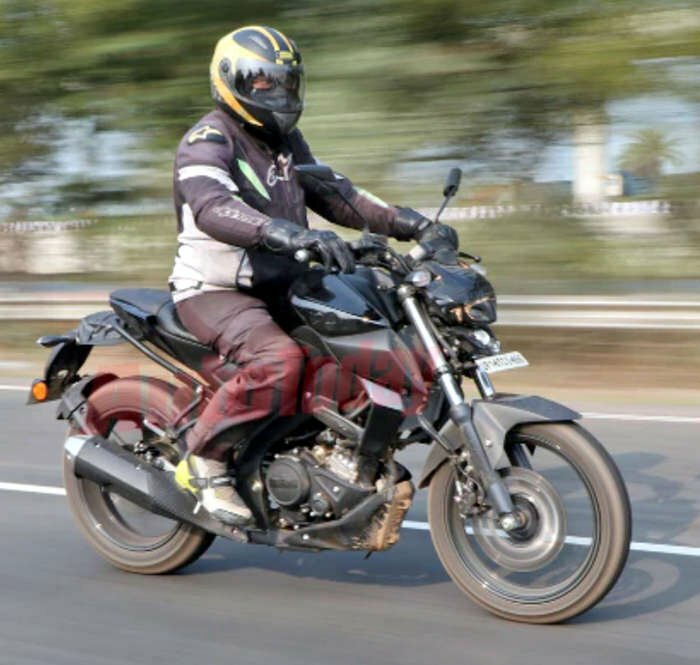 The Yamaha MT-15 was spied testing in India for the first time in January. The India-spec MT-15 will be 55 mm longer and 5 mm taller as compared to the global-spec version. The width and wheelbase remain unchanged at 800 mm and 1335 mm, respectively. The Yamaha MT-15 V3.0 takes its design inspiration from the bigger MT-09. The motorcycle features an entirely new fascia with a bug-eyed LED projector headlight, followed by a new fully-digital instrument cluster that sits on top of it. The fuel tank has been redesigned to give it a family look, while the extended scoops add the much-needed character to the motorcycle. The MT-15 employs a Deltabox frame that uses the engine as a stressed member. The India-spec Yamaha MT-15 will be propelled by a 155.1 cc liquid-cooled, motor with VVA (variable valve actuation) and will come mated to a 6-speed gearbox. The fuel injected 4-valve engine will pump out 19.04 bhp of power and 14.7 Nm of peak torque. The bike will feature a first-in-class slipper clutch. The India-spec Yamaha MT-15 will be 5 mm taller and 55 mm longer as compared to the global-spec model. The India-spec Yamaha MT-15 differs from the global model in terms of a few mechanical parts. The upside-down forks make way for the telescopic units up front, while the cast aluminium swingarm is replaced by a box-type unit on the Indian model. A linkage-type adjustable mono-shock does duty at the back. The 17-inch alloy wheels and MRF Revz tyres are sourced from the Yamaha R15 V3.0.